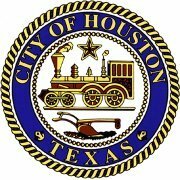 The Houston Ship Channel Security District will endeavor to provide an integrated strategy to increase the level of security for both the waterside and landside facilities within the District. The goal of the District strategy and services is to increase the preparedness and response to potential security threats by providing reliable, cost effective security systems. The District will promote projects to deter future security threats as identified in ongoing vulnerability and threat assessments. The District will carry out its mission in accordance with Chapter 68 of the Texas Water Code and other applicable laws. Craig Nelson, Fire Chief/FSO - Albemarle Corp.